History: 1 day old infant with bilious emesis. 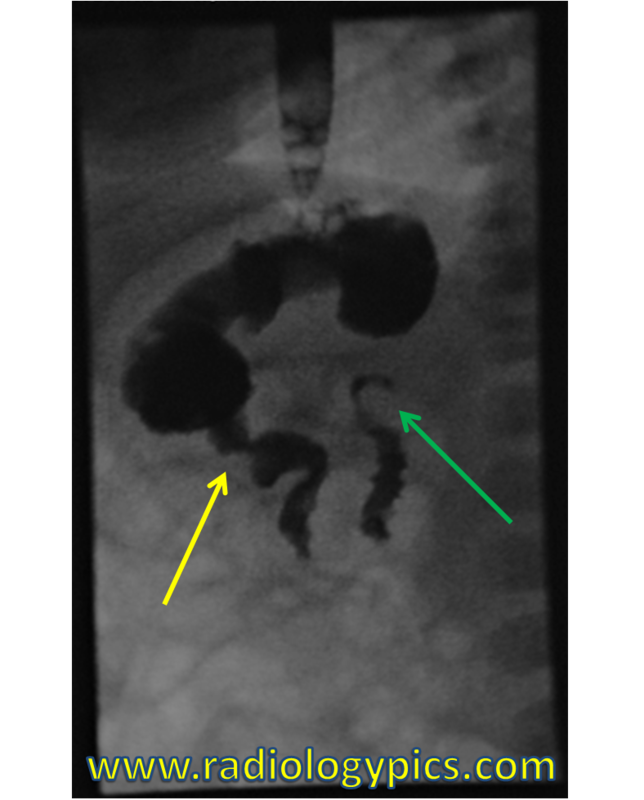 Normal Upper GI: Single spot fluoroscopic image of the upper gastrointestinal tract. 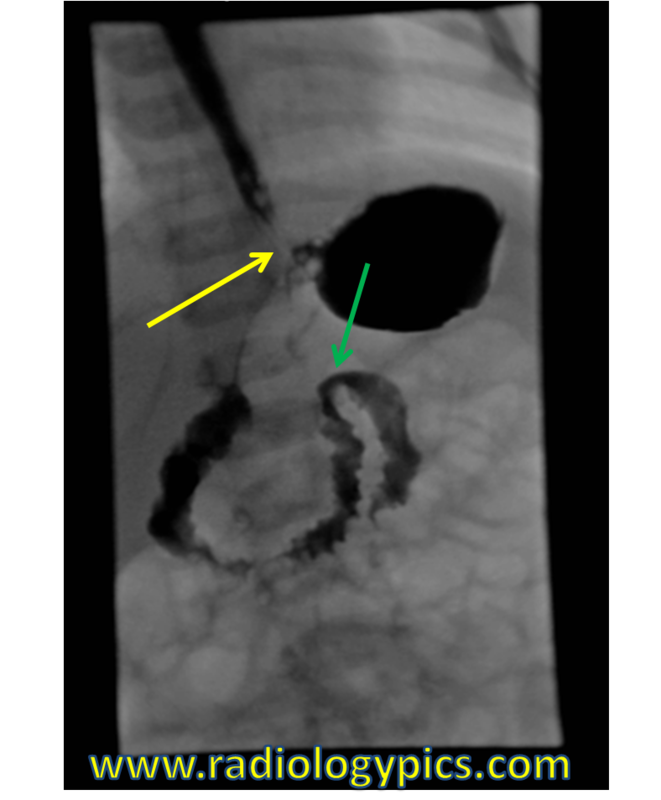 Contrast is seen opacifying a normal esophagus and the gastroesophageal junction is normally located (yellow arrow). The duodenal C-Loop is normal and the ligament of Treitz is in a normal location (green arrow). This is a normal upper GI study in a neonate. The patient is usually imaged first in the right lateral position and multiple images are obtained as contrast passes through to the duodenum and ligament of Treitz. The most common indication in the emergent setting is bilious emesis, rule out malrotation. The lateral image is below. Normal Upper GI – Lateral image of the upper gastrointestinal tract in a neonate. Contrast opacifies the esophagus, stomach, and duodenum. The normal pylorus is labeled with yellow arrow, and the ligament of Treitz is indicated in green. After the lateral images are obtained, usually just one to two images in the frontal projection are sufficient to demonstrate the anatomy. The radiologist should look for abnormal location of small bowel loops, or even twisting of small bowel loops, called midgut volvulus.